The Chrysler 300 “letter series” were high-performance luxury cars built in very limited numbers by the Chrysler Corporation in the United States between 1955 and 1965. Each year’s model used a new letter of the alphabet as a suffix (skipping “i”), reaching 300L by 1965, after which the model was dropped. 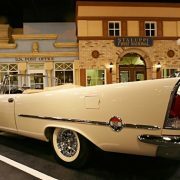 The 300 “letter series” cars were the vehicles that really rekindled interest in performance among major American manufacturers after World War II, and thus can be considered the muscle car’s ancestors, though much more expensive and exclusive. Chrysler has recently started using these designations again for sporting near-luxury sedans, using 300M from 1999, and continuing the 300 series with a new V8-powered 300C, the top model of a relaunched Chrysler 300 line, a new rear wheel drive car launched in 2004 for the 2005 model year. 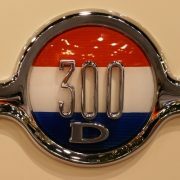 This is disliked by some fans of old Chryslers who do not approve of the reuse of a 300 letter series designation. Unlike the first series, the second does not have 300 hp engines, except for today’s top-line 300C. This first of the letter series cars didn’t actually bear a letter; it can retroactively be considered the ‘300A’. The ‘C-‘ designation (later dropped) signified ‘Coupe’, while the 300 originally stood for the 300 hp (220 kW) engine. The C-300 was really a racecar sold for the road for homologation purposes, with Chrysler’s most powerful engine, the 331 cubic inch (5.4 L) FirePower “Hemi” V8, fitted with twin 4-barrel carburetors, a race-profiled camshaft setup, solid valve lifters, and a performance exhaust system. This was the first American production car to top 300 hp (220 kW), and the letter series was for many years the most powerful car produced in the United States by a fair margin. 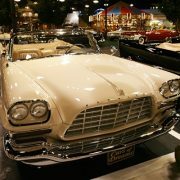 The car’s “Forward Look” styling can be attributed as much to the Chrysler parts bin as designer Virgil Exner. The front clip, including the grille, was taken from the Imperial of the same year, but the rest of the car did not look like an Imperial. 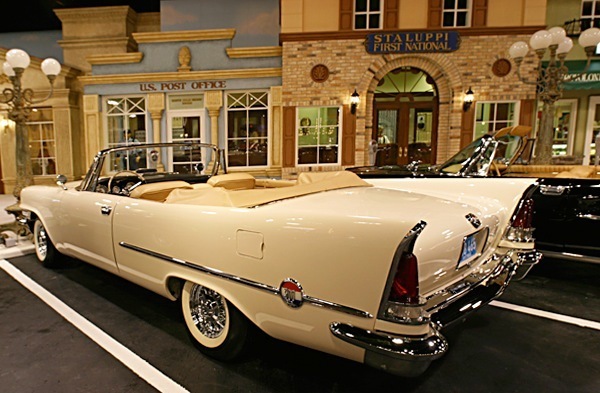 The midsection was from a New Yorker hardtop, with a Windsor rear quarter. Exner tweaked the design to integrate these elements, including fitting base-model Chrysler bumpers, and removing the exterior mirrors for reduced drag at high speeds. Measured at 127.58 mph (205.32 km/h) in the Flying Mile and doing well in NASCAR, the C-300 aroused a lot of interest that was not reflected in its modest sales figure of 1,725 built. 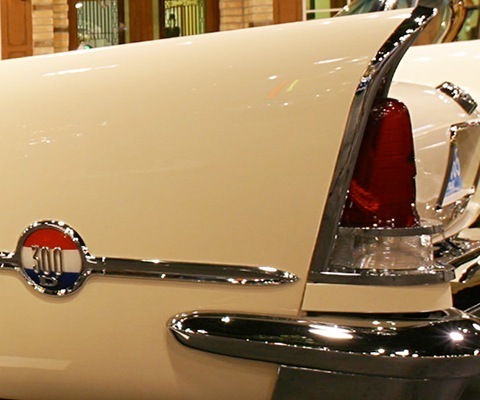 The 1957 300C is generally considered the classic year of the 300 “letter series”. New styling was brought in, with a yawning wide front grille and fins; the Hemi engine was upgraded to 392 cubic inch (6.4 L) and 375 hp (280 kW), or as a very limited edition 390 hp (290 kW) version (18 built). 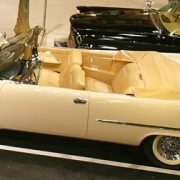 A convertible model was available for the first time. The car had a number of red, white and blue ‘300C’ medallions on the sides, hood, trunk and interior. 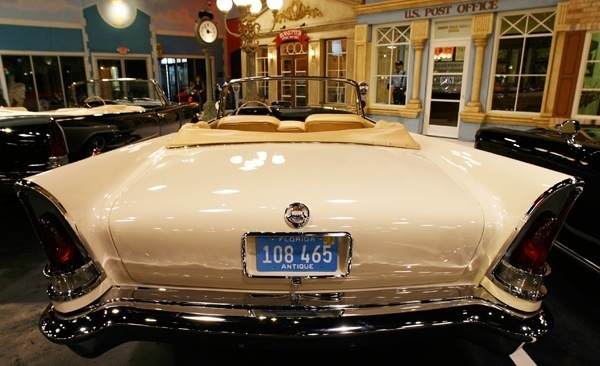 1,767 coupes and 484 convertibles were built. 1958 was to be the last year of the old FirePower Hemi in the 300. This year’s engine was still 392 cubic inch (6.4 L), but tuned to 380 hp (283 kW) as standard. 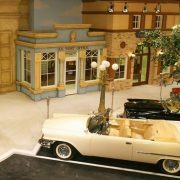 35 cars were built with electronic fuel injection and delivered 390 hp (290 kW), but the fuel injection system was troublesome and most cars soon had it replaced with the standard twin-quad carburetor setup. A 300D was driven to 156.387 mph (251.680 km/h) at the Bonneville Salt Flats that year, but only 618 hardtops and 191 convertibles were produced, partly thanks to recessionary times. 1959 saw the Hemi engines replaced by Chrysler’s new Golden Lion wedge-head V8 at 413 cubic inch (6.8 L) displacement. Power output remained about the same. 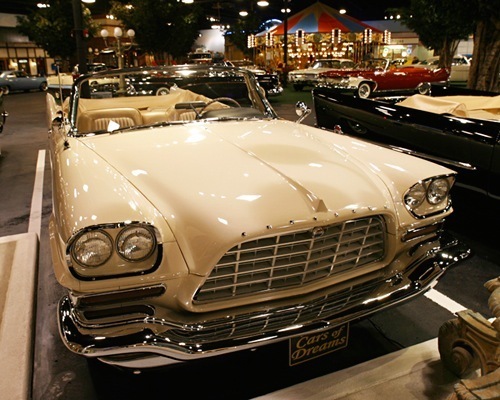 The loss of the Hemi and the late-1950s recession meant for poor sales of 522 coupes and 125 convertibles. The 1960 300F introduced a new, higher power 413 cubic inch Wedge engine delivering 375 bhp in standard form. To boost power at lower and mid rpms, a special “cross-ram” intake manifold was derived. Instead of the normal V8 central intake manifold with carburetor(s) on top, the cross-ram consisted of two pairs of 30″ (760 mm) long tuned pipes that criss-crossed so that each set fed the opposite side of the engine. The carburetors and air cleaners hung off the sides of the engine over the fender wells. These long tubes were tuned so that resonances in the column of air helped force air into the cylinders at those engine speeds. A special 400 hp (300 kW) “short ram” version was produced for competition; in this, the tuned portion of the stacks was only 15″ (380 mm) long, so that the resonant effect was produced at higher engine speeds. Only 15 “short ram” cars were produced; these were also fitted with the exotic but often troublesome French Pont-a-Mousson 4-speed manual transmissions developed for the Chrysler-powered Facel Vega. 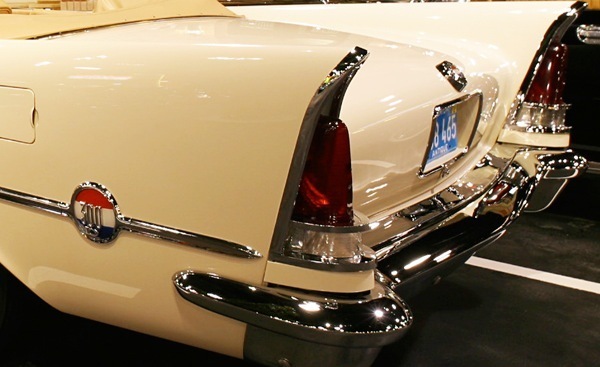 The bodywork was also redone for 1960, using Chrysler’s new lightweight unibody construction and given sharper-edged styling with outward-tilting fins that were visually separated from sides. The 1961 300G saw another restyle. The grille, formerly wider at the bottom than the top, was inverted; the quad headlights, formerly side-by-side, were arranged in angled fashion, inward at the bottom, in a manner reminiscent of 1958 to 1960 Lincolns. Small parking lamps below the headlights were likewise slanted and V-shaped, and the front bumper was canted up at each end, scoop-like. At the rear, the taillights were moved from the fins to the tail below them, and the fins were made sharper-pointed. Mechanically, the cross-ram “short ram” and “long ram” engines remained the same, although the expensive French manual transmission was dropped, replaced by a more reliable but still expensive Chrysler manual transmission referred to as ‘option code 281′, cars fitted with this transmission are among the most rare and desirable of all the letter series cars with only 14 built and an estimated five known currently. 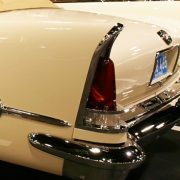 From 1962’s 300H, the fins were gone after stylist Virgil Exner left Chrysler. Gone, too, was the letter series’ unique place in the Chrysler lineup; there was now a whole Chrysler 300 series, of which the 300H was but the top model. Externally there was little difference between the 300H and the plain 300 (except for a “300H” badge on the driver’s side of the trunk), and many of the 300H’s features could be ordered as options on the other models. Under the hood of the 300H, the same long ram and short ram Chrysler RB engines were still there. With a slight power boost and a 300 lb (140 kg) lighter body, the 300H was faster than the 300G, but the loss of exclusivity coupled with high prices made this the slowest-selling letter series year yet, with only 435 coupes and 135 convertibles sold. 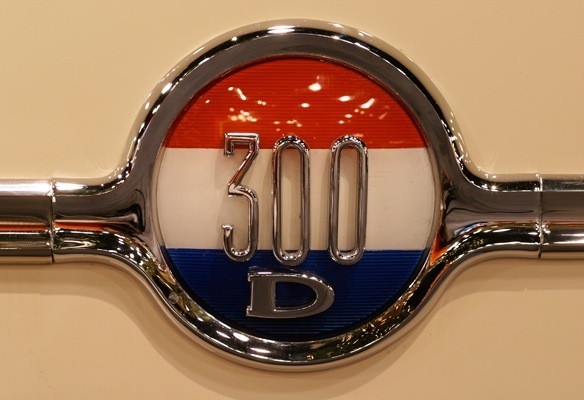 The regular 300 (non-letter) series used a 383 cubic inch B engine. 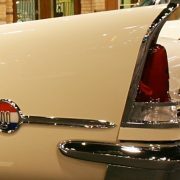 Further restyling for 1963’s 300J (the letter “I” was skipped) left the car with a smoother, more angular 1960s look. 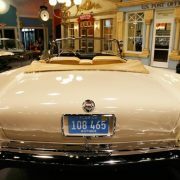 The convertible was dropped, leaving the coupe; the “short ram” racing engine was also discontinued. The only engine available was the 413 cubic inch (6.8 L) “long ram”, with an increase of 10 hp (7.5 kW) from 1962. A redesigned and more sumptuous interior featured an oddly squared steering wheel. The 300J was faster than the standard 300H of the year before, with a 142 mph (229 km/h) top speed, 8.0 seconds 0-60 mph, and a standing quarter mile time of 15.8 seconds with a terminal velocity of 89 mph (143 km/h). 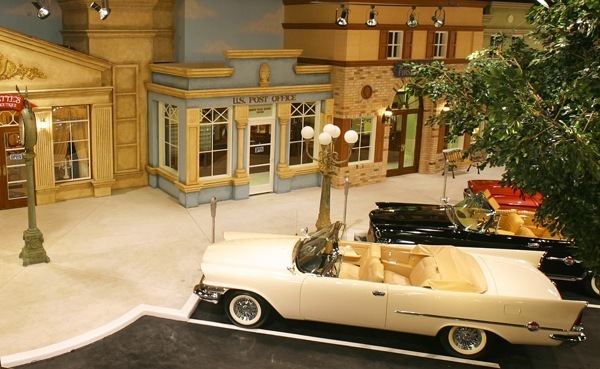 Sales were especially poor, with only 400 cars produced. 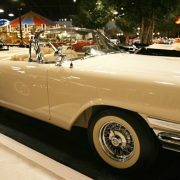 The convertible returned for 1964’s 300K, but the “cross-ram” engine became an extra-cost option available on the 300K only. A 413 cubic inch Wedge with a single 4-barrel carburetor, a regular intake manifold, and 360 hp (268 kW) was the new standard engine. Leather upholstery was no longer standard either. 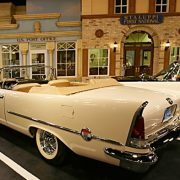 All this reduced the baseline price by over a thousand dollars, and sales responded with the largest total ever; 3,022 coupes and 625 convertibles. 1965’s 300L was the final year of the traditional letter series. 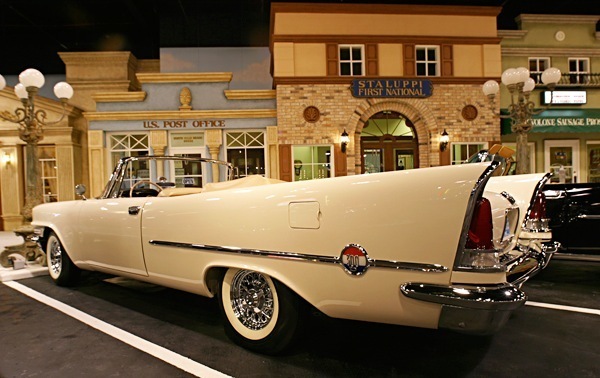 A complete restyle brought a sleek mid-1960s linear look to the cars, and dropped the panoramic windshield that had disappeared from other Chrysler models in 1961. The cross-ram engine was no longer available; the 413 cubic inch (6.8 L) engine with regular carburation and inlet manifold was the only one supplied. Practically every feature on the 300L could be ordered as an option on the regular 300; the only absolute difference was the ‘300L’ badges. 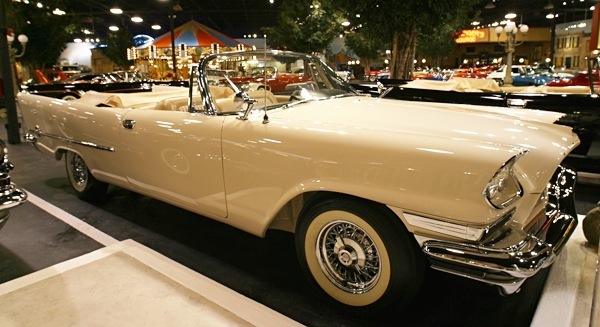 2,405 coupes and 440 convertibles were sold.